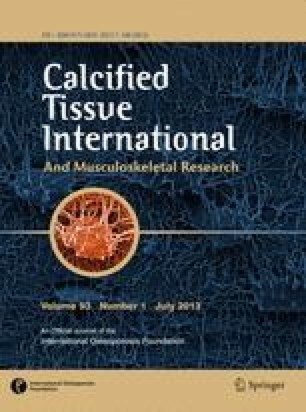 Previous studies conducted in cell culture utilizing chondrocytes isolated from human articular cartilage showed that inclusion of ascorbic acid in the nutrient medium resulted in an increase in the net biosynthesis of sulfated proteoglycans concomitant with a reduction in the activities of arylsulfatases A and B. This suggested a possible connection between the stability of the sulfated macromolecules and the activity of these desulfating enzymes. To examine whether this relationship also was operative in a more native milieu, the effect of ascorbate on these parameters was measured in an organ culture system using slices of human articular cartilage where the structural extracellular framework surrounding the chondrocytes is comparable to that present in vivo. In addition, since numerous studies have shown that vitamin E inhibits lysosomal enzymes, the effect of alpha-tocopherol on these parameters was also investigated. Concurrent with an inhibition of arylsulfatase A and B activities, an increase in sulfated proteoglycan biosynthesis per unit of DNA as reflected in35S-sulfate uptake was present in all cartilage specimens examined 6 days after the introduction of vitamin C in the culture fluid. A larger fraction of the newly synthesized sulfated macromolecules was incorporated into the matrix of the tissue in samples maintained in the vitamin-supplemented cultures. Supplementation of the organ culture medium with vitamin E resulted in the inhibition of arylsulfatase A and no change in arylsulfatase B activities. In contrast to the action of vitamin C which stimulated acid phosphatase activity, a potent inhibition of this enzyme was effected by vitamin E.
Sulfated proteoglycan content was greatly enhanced by alpha-tocopherol, although the vitamin did not alter the distribution of the newly synthesized molecules between the tissue and medium fractions. Inhibition of acid phosphatase and arylsulfatase A by alpha-tocopherol was evident in tissue lysates and partially purified enzyme preparations. This implies a direct interaction between the enzymes and vitamin E.
The actions of alpha-tocopherol and ascorbate on cartilage enzymes and structural components were dissimilar. Both vitamins, however, appeared to enhance the stability of sulfated proteoglycans in the complex structure comprising articular cartilage.